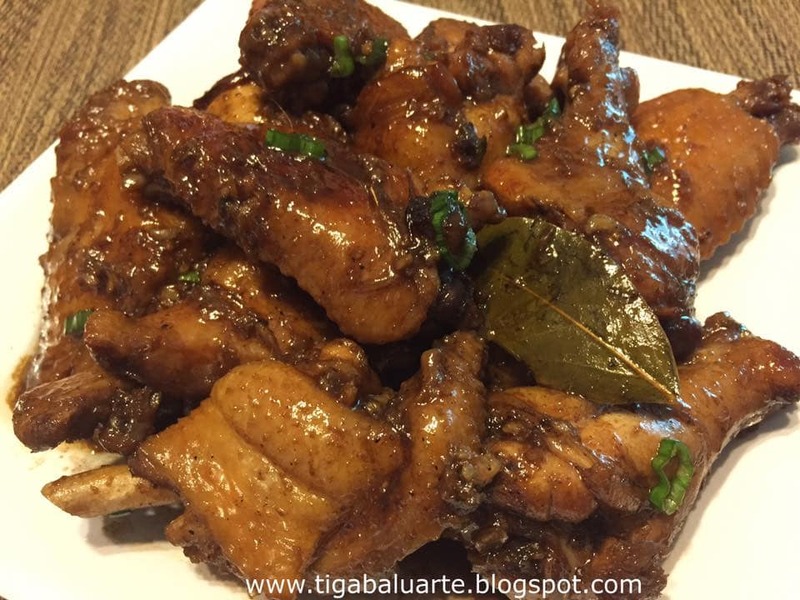 Adobong Manok sa Gata is a popular Filipino dish where chicken is cooked adobo style and coconut milk is added. 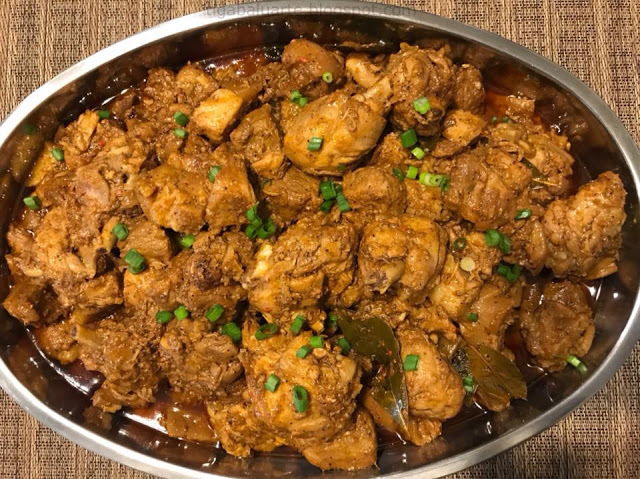 Adobong Manok sa Gata or Chicken Adobo in Coconut Milk is a delicious version on how to cook Filipino style adobo with coconut milk and chilies making this dish rich in flavor. Adobong Manok sa Gata is a Bicolano version of the Filipino Adobo where chicken is stewed in coconut milk and vinegar. 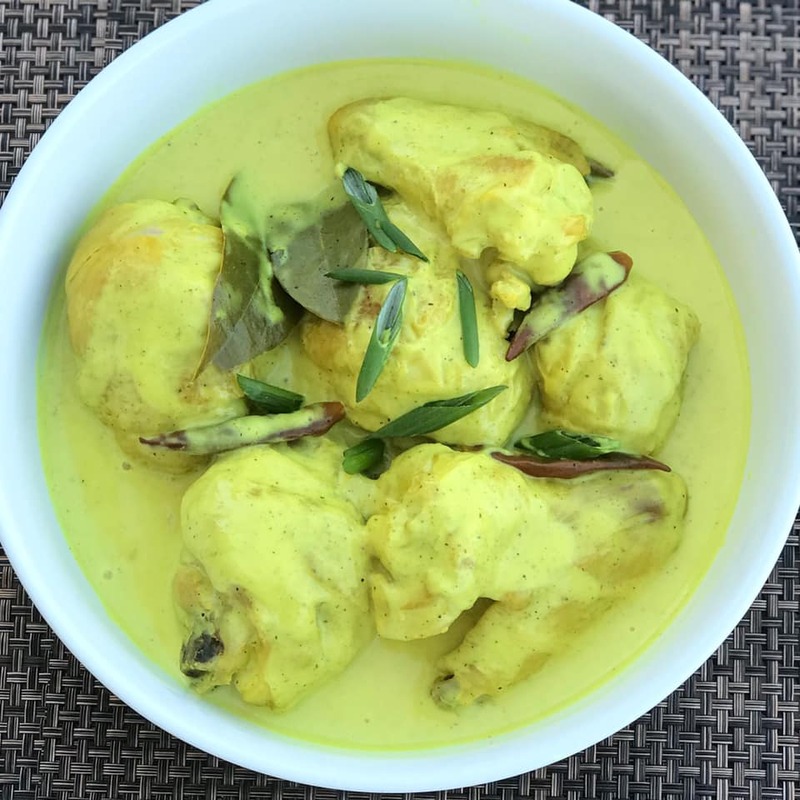 The salty and sour taste of this Adobong Manok will compliment the creaminess of the coconut milk. 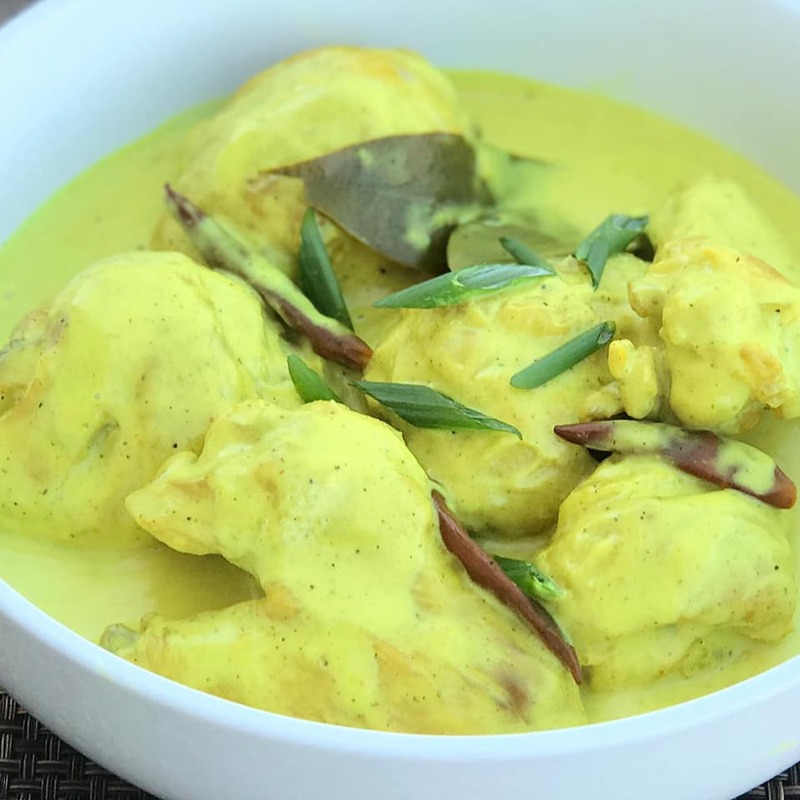 The coconut milk is added at the final stage of cooking which adds texture and flavor to this Adobong Manok sa Gata dish. 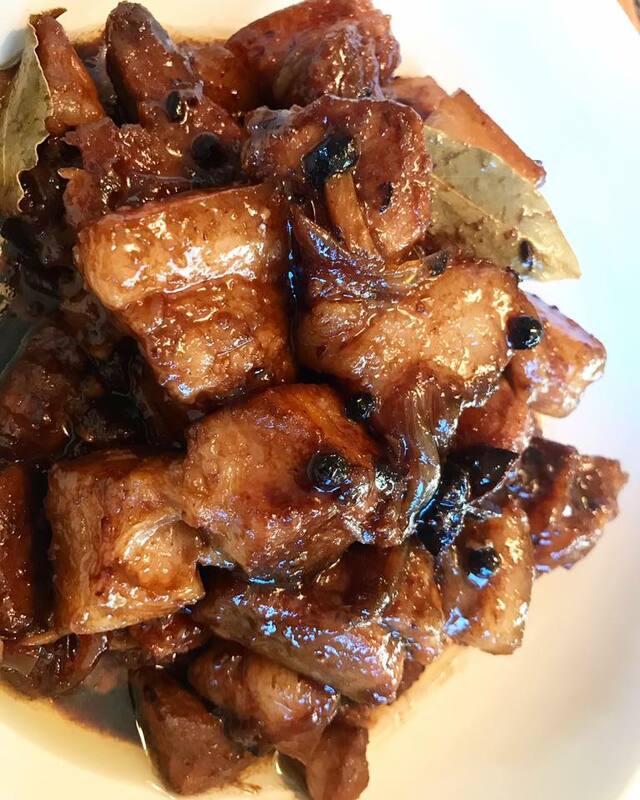 With this recipe I did not used soy sauce but feel free to use soy sauce instead of salt. 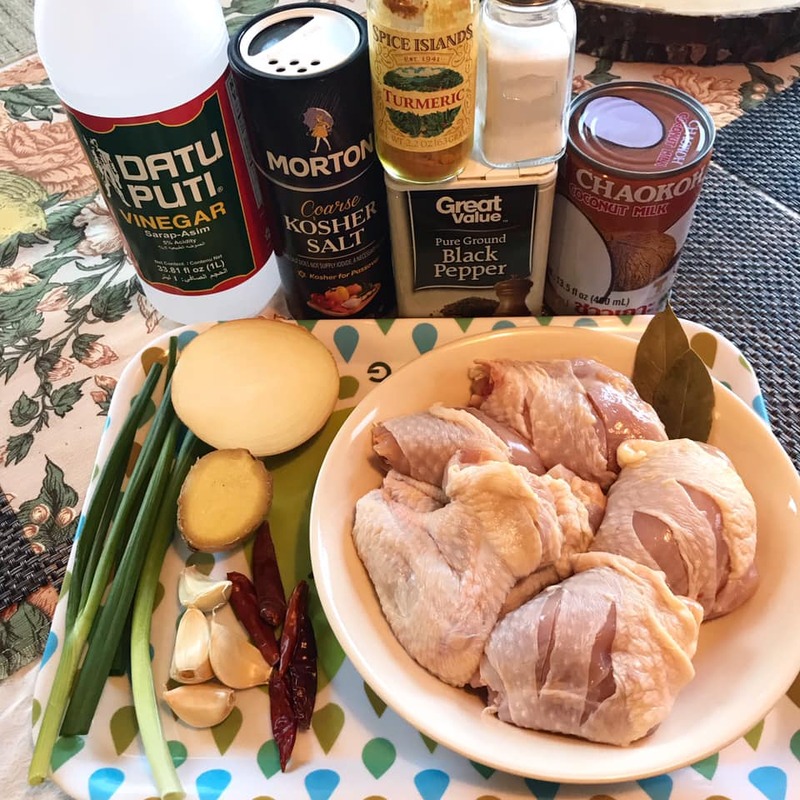 Chicken Adobo in Coconut Milk is easy to make and full of flavor. Make sure you have enough steam rice, it will surely be a hit for the family. Give this recipe a try and share with family and friends. 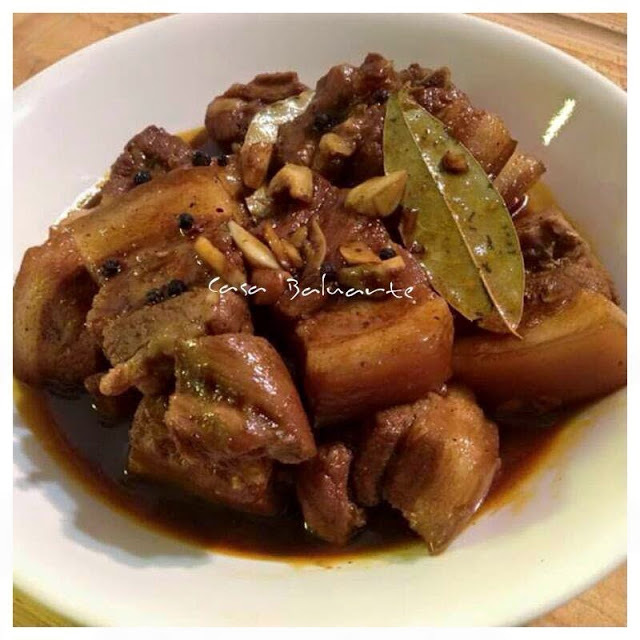 Don't forget to check related Filipino Adobo recipes below by clicking on the name link below the picture to see complete recipe. Using a wok over medium-high heat, add cooking oil. Add chicken and fry until brown for about 5 minutes. Remove chicken from oil and set aside. Using the same wok, saute dried chili peppers, ginger, onion and garlic until aromatic for about 2 minutes. Add browned chicken, turmeric, bay leaves, water and vinegar. Simmer for 10 minutes, flipping the chicken once. Season with salt and ground pepper and stir gently. Continue to simmer for about 5 minutes until sauce starts to thicken. Add coconut milk, stir gently, cover and simmer for about 15 to 20 minutes until sauce starts to thicken and chicken is fully cooked. Transfer in a serving dish and garnish with chopped green onions. Serve hot over steam rice. Enjoy!